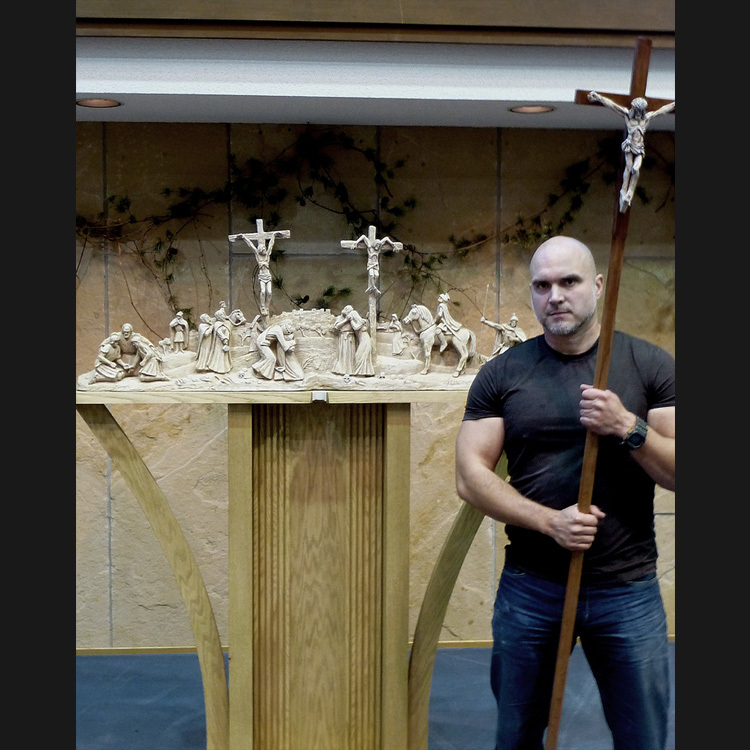 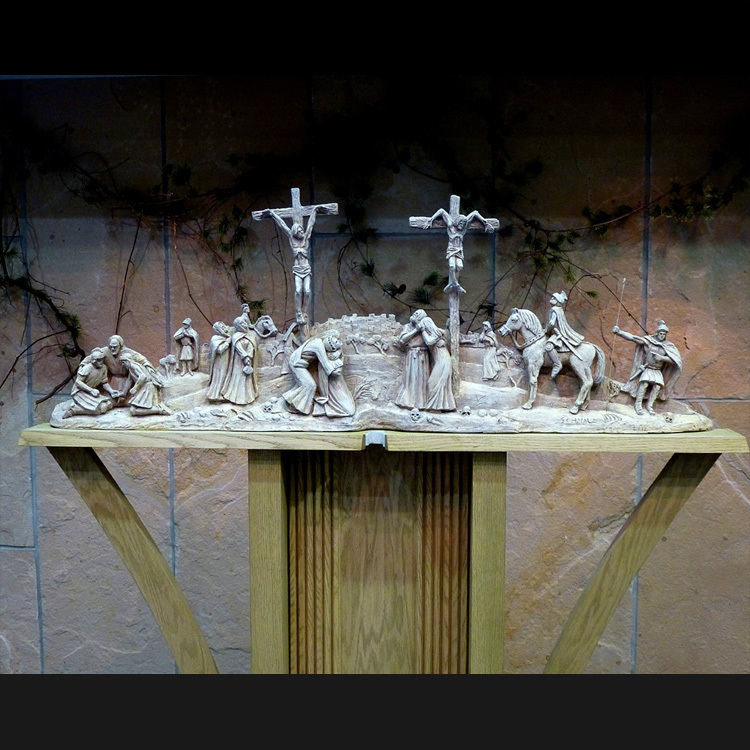 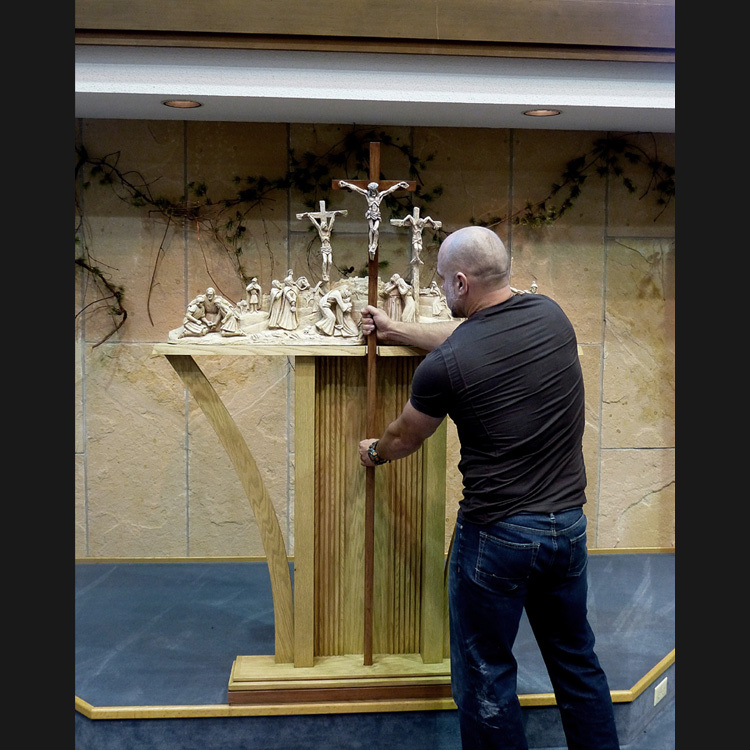 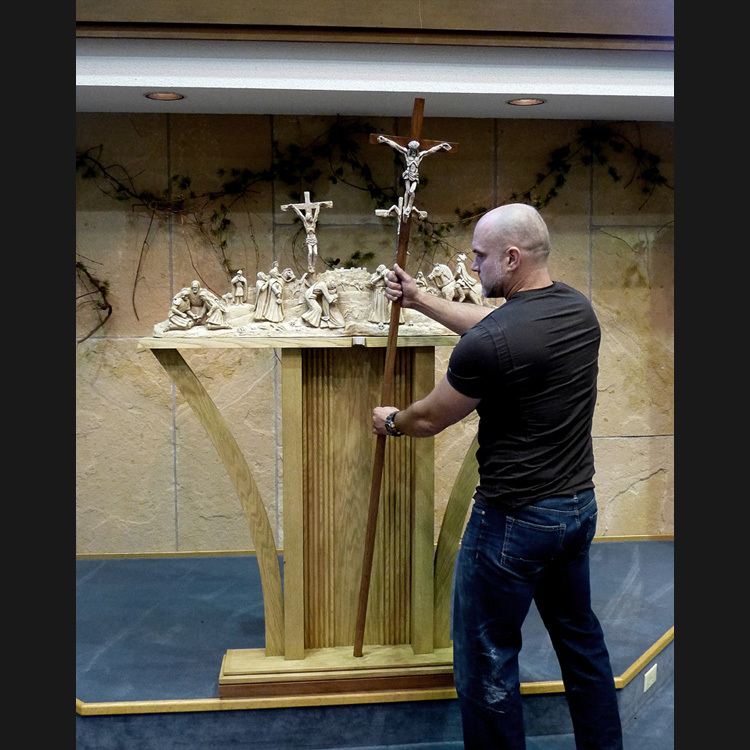 This innovative and very unique idea incorporates or blends the Stations of the Cross, Processional Cross along with a Calvary Crucifixion Scene that is completed when the Processional Cross is inserted into the scene. 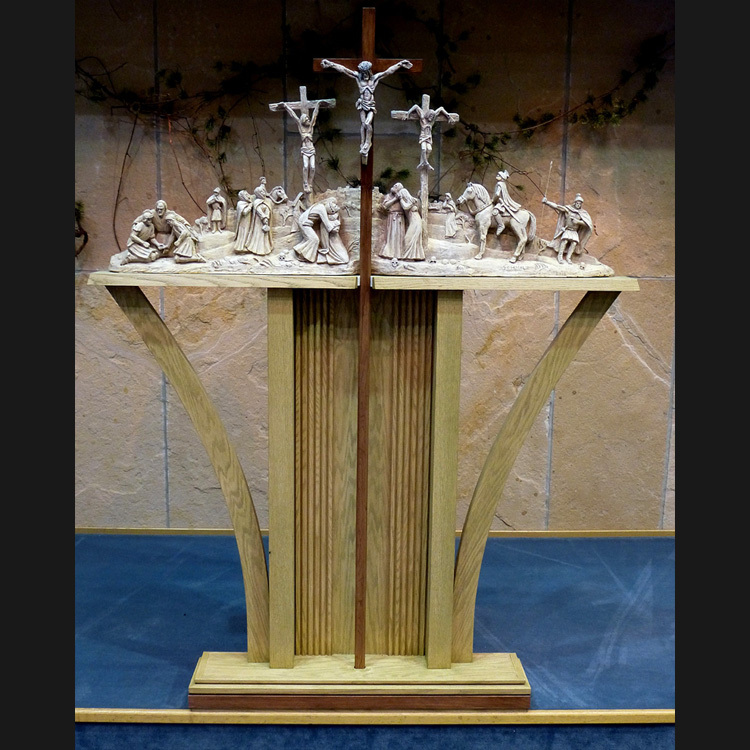 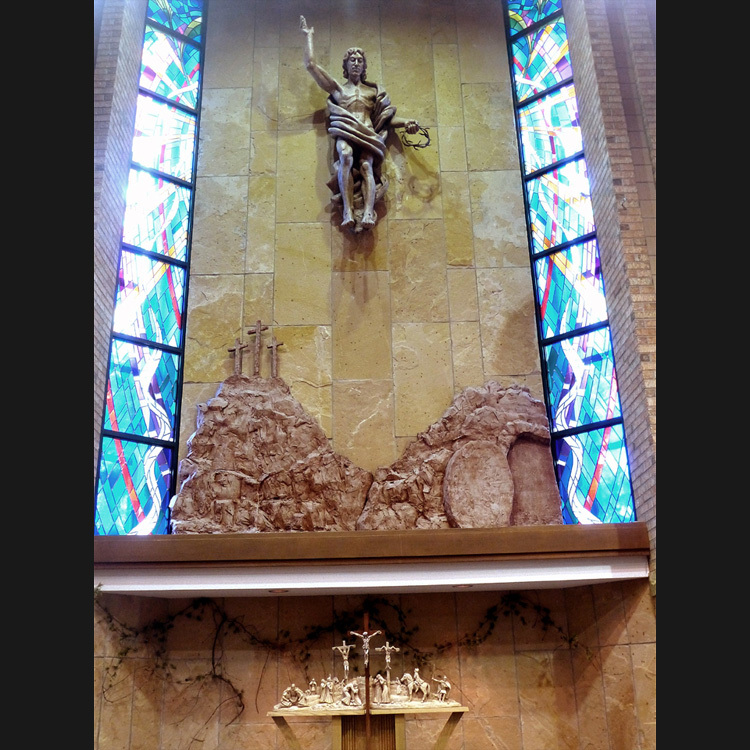 The completed scene could also function in the space as the 12th station as well as the primary sanctuary scene if placed in a smaller chapel. 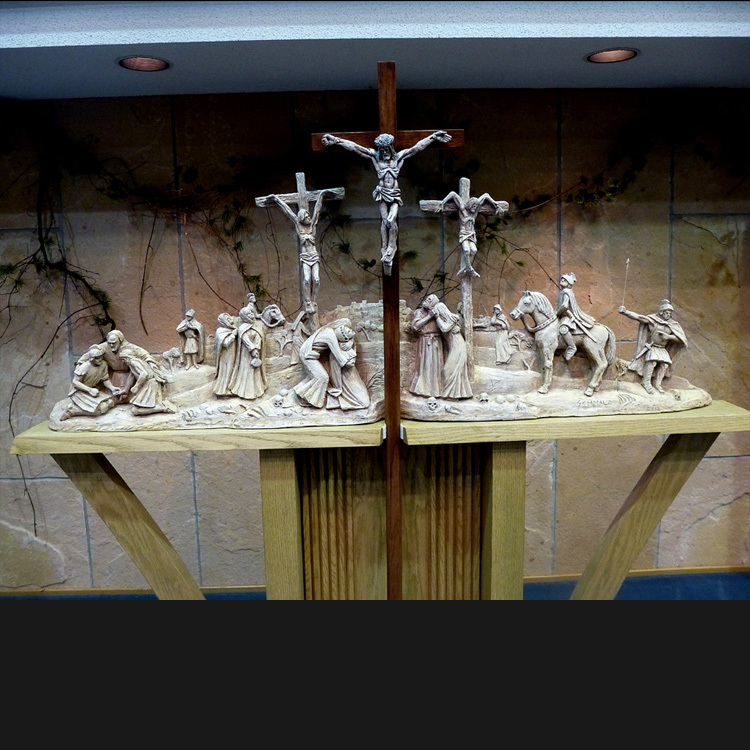 Timothy is also creating a new set of Stations that compliment the style of this sculptural scene.